The ear is very delicate and extremely clever instrument comprising of a complex design of structures. The ear allows us to hear sounds and to balance due to the nature of the anatomy. The ear is divided into three main parts: the outer, middle and inner ear. Each section has its own function and components though if one section becomes damaged, this can affect the remaining two parts. Within the outer ear there is the pinna and the external auditory canal.The pinna is made up of cartilage, which gives the ear it's shape and form and it's purpose is to pick-up sound waves and direct them into the ear canal, which then increases the volume of the sound wave and sends it to the middle ear. The external auditory ear canal contains wax, which helps to prevent foreign bodies and infections from entering the deeper ear structures. The middle ear comprises of the ear drum, the bony areas known as the stapes, the malleous and the incus, which are collectively known as the ossicles, the middle ear cavity or space and the Eustachian tube. 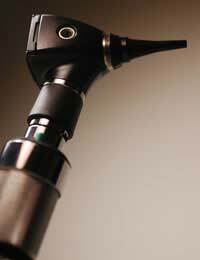 The ear drum detects the sound waves and via a series of vibrations transmits the frequency and wave form to the middle ear. The middle ear cavity serves as a space into which secretions can collect and be eliminated from the ear. It also acts as a pressurising chamber whereby pressures outside the ear, around the ear drum and inside the ear can be equalised. The bony structures of the middle ear, or the ossicles, are the smallest bones found in the human body, and act as the connection system that amplifies and passes sound waves from the ear drum to the inner ear fluids. The Eustachian tube connects the ear to the back of the nose and helps to both equalise pressures and help eliminate secretions. The inner ear is made up of round window, the oval window, the cochlea and the semi-circular canals. The inner ear is more simply a complex maze of fluid filled chambers that convert the sounds into impulses that our brains can interpret.Both the round window and oval window are membranes that act as a barrier between the fluid of the inner ear and the air within the middle ear. The cochlea is the part of the ear that transmits sounds to our brains. It is very important and extremely delicate in anatomy and physiology. The deepest part of the ear contains the semi-circular canals that help us to control and maintain our balance. Along with these structures, the inner ear also contains tiny hairs that move with sound vibrations and help transmit signals to the nerves and the brain. The ear is an intricate design of different structures that, when combined, compliment each other and create a very special and delicate instrument.Due to the fragile nature of the anatomy, it is easy to understand how it can become irreparably damaged and how we should learn to try and look after our ears to our best ability.